I know it’s been a couple of months since I’ve done a chapter for this story but it’s one I especially like, so I picked it up again. If you’d like to start from the beginning here ya go! 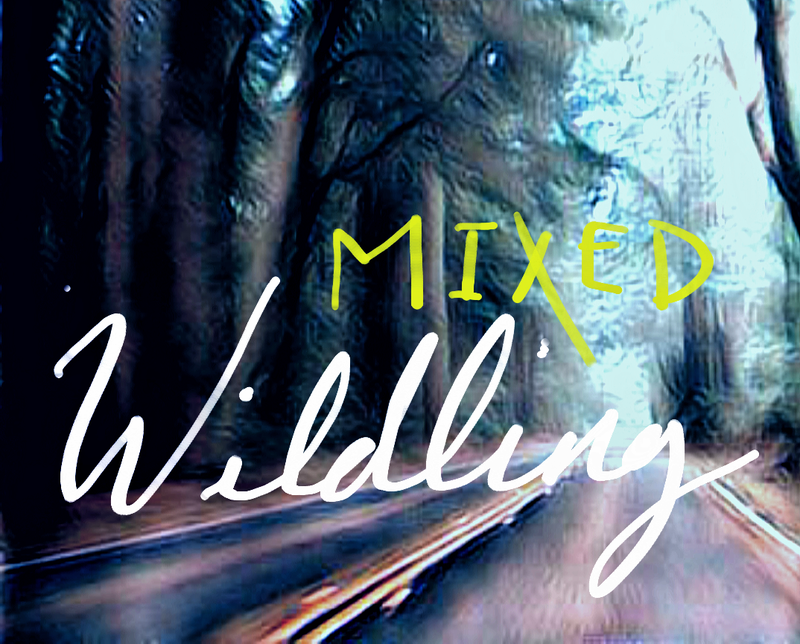 Mixed Wildling – Ch1 (Short Story Series)! Vikki scampered into the bedroom to begin her excruciating shift back into human form. She’d gotten bored waiting for the guys to get back from hunting and decided to practice. Two full shifts were no problem, but when she got halfway through the third, fatigue hit her and she had to take a nap. Which was when they’d found her. She recalled recognizing their scent and feeling safe, but not much else. Memories when in shift where different from when she was human. They mostly consisted of smells, feelings, and instincts. Life as an animal was simpler and it gave her a chance to drop all unnecessary thoughts and worries. A clear outlook on her life when she felt like it was all crumbling. The sun quickly dropped behind the mountain and it became cold enough to see your breath inside the cabin. The only warm area was next to the woodstove, so Vikki volunteered to make dinner while the men cut wood for the night. Trouble was, Vikki had no clue what she was doing. She’d made toast and boiled water before, but that was it. “Can’t be that hard.” she said with a shrug. She started with water in a large pot, put in a whole skinned rabbit, then some of the dried veggies that Seth’s parents had sent. So far, so good she thought. Next came the seasoning, she figured the more, the better. A few times, she noticed Gunter hauling more wood in but for the most part she concentrated on her cooking. It wasn’t until she heard a small squeak noise behind her, that she turned around. Gunter was watching her with a strangled expression. “You okay there Gunter?” she asked. He turned away and shook his head yes. Vikki went back to seasoning the stew, only to hear the same sound a few seconds later. Shrugging it off as one of his peculiarities she shook the salt into the soup again with ferocity. “STOP!” he bellowed out of no where, causing her to jump and scream. “Excuse me?” She waited for him to elaborate. “Psh, this isn’t completely your fault. I’m the idiot who put her hand in boiling water.” She smiled to let him know it was okay. Vikki nodded slowly while watching his serious face. Gunter turned into a completely different type of person when he stopped being shy. He moved with confidence and took control. It made her look at him in a new light. He quickly blurted, “You’re not a burden!…I didn’t mean that…I’m happy to cook for you. It’s no problem.” and then turned back to stirring the soup. “Again with you two, do we need to make up a secret knock or something.” Seth said as he laughed and dropped another load of wood in the corner. Vikki sat back down while Gunter glared at his friend in response to his joke. “Ohh, ho ho, Gunter your Ma is gonna boil you up like that there rabbit if you give out her cookie recipes. You know that don’t you?” Vikki could tell Gunter was torn between giving her what she wanted and not wanting his mom to kill him. “Oh that’s alright, you don’t need to teach me the secret recipes. The basic’s would be fine.” Gunter smiled in relief. Seth walked up to the water and pointed, “What’s this? Why are you bogarting the bucket? I need to wash up.” Vikki pulled her hand out so he could use it but winced as the warmth spread again. “I burned myself a little. Go ahead and use it.” Gunter came over, placed her hand back in the water and pushed Seth towards the door. “Go use the creek.” he said plainly. “But it’s like ice!” Seth complained. Gunter continued to point at the door with a stern expression. “You’re not the boss of me!” Seth shouted before leaving. Vikki laughed at Seth’s childish fit and shook her head. Thank you 😋 I’m still unsure where I’m going with it, the crescendo is daunting. This chapter was slow though, I’ll have to toss in some action in the next. To say nothing much has happened it is a riviting read. That speaks volumes for your writing. I think it might be time the FBI, acting on a tip off from Eddie before his acting met an abrupt curtain call (or the lady at the meeting in chapter 2 (probably called Gregory by the time she reappears)) raid the forest with helicopters and gun boats. Supported by a marching band rather than a brass one.